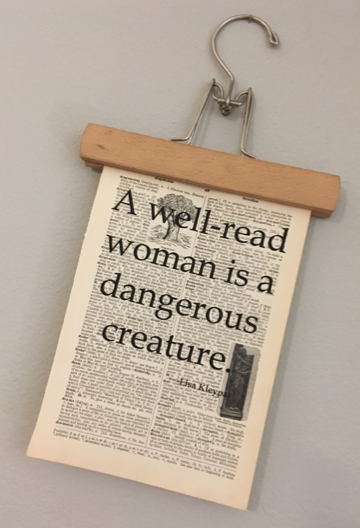 I was framed at arc! 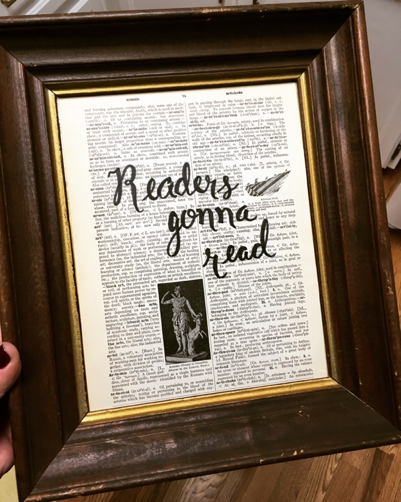 Just kidding I wasn’t “framed”, but I do buy all of my frames at arc Thrift Stores. arc Stores always have TONS of picture frames. Every store location that I’ve ever been in (and that’s a lot of them), has shelves upon shelves of frames. There are giant wall frames and teeny, tabletop photo frames. Some come with art inside them and others are empty. 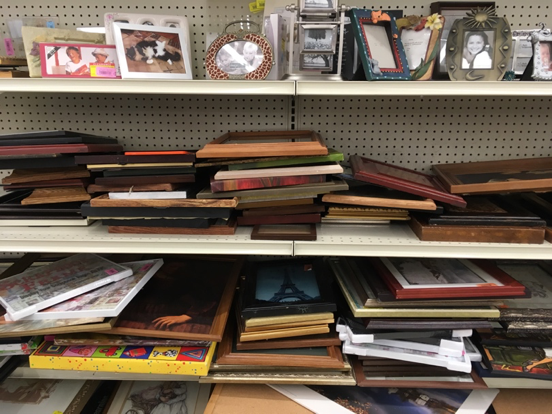 As a thrifter, I never buy frames new when I have such a wide variety of affordable options to choose from at arc. However, if frames aren’t your thing and you’re looking for more creative ways to hang your photos or artwork, arc can help with that, too. 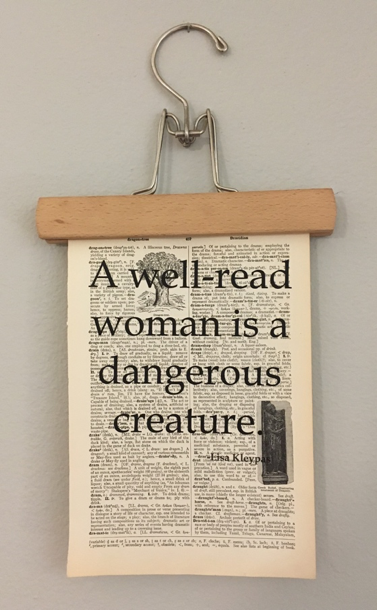 I used this wooden hanger from an arc thrift store ($1.99 for 3) to hang a piece of vintage dictionary art. 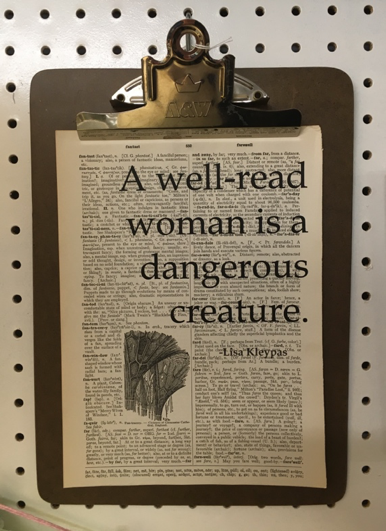 I’ve also used clipboards to hang photos and art, as well. 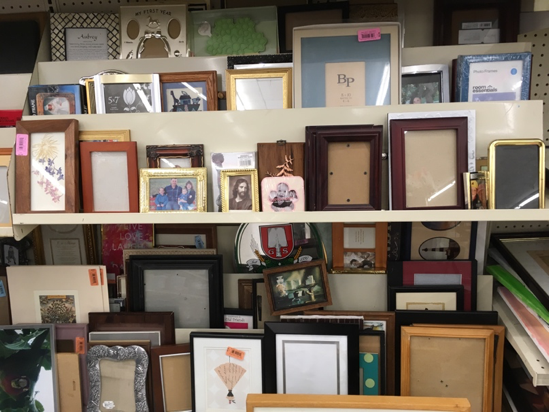 arc Thrift offers tons of frame and frame-alternative options for however creative you want to be in your home.